Winix America Inc., which was established more than 40 years ago, is a known manufacturer of air purifiers, humidifiers, and dehumidifiers. Needless to say, the Company is devoted to providing clean and healthy air to both home and office scenarios. Indeed, Winix has improved their products through the use of modern technology and advanced engineering in order to provide their customers with powerful and effective systems. That’s the reason why this Company has been reputable through the many years that they’ve been manufacturing small appliances. 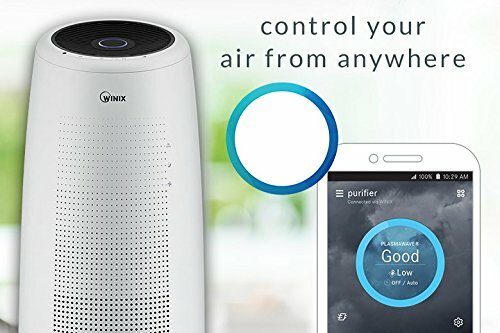 What is the Best Winix Air Purifier for You? Ventilation is limited indoors – pollution like smoke, dust, pet hair, and odors are therefore trapped inside. There’s no sunshine indoors – germs thrive in confined areas with no sunshine. People bring in dust and dirt with them (and even diseases-causing germs) when they enter a building. If you don’t realize it yet, inhalation of polluted air can make you sick. And if you already have respiratory problems, being exposed to polluted air can worsen your health issues. By using an air purifier, however, the standard and quality of your indoor air will improve. The Winix Company has its own air purification systems which they use in their air ﻿﻿purifiers. Listed below are the types of air filtering methods they usually employ in their products. For the most effective filtration method, they only use the best type of HEPA filter – the True HEPA. It has a 99.97% efficiency in trapping small particles of pollutants in the air (up to 0.3 microns in size). With this type of filter, even microscopic particles can be effectively trapped in the filtering system. It’s effective for capturing dust, pollen, pet dander, smoke particles, and more. This treatment also works as an air purifying system, but it’s not a physical filter that you can touch. A HEPA ﻿﻿filter that’s coated with this substance is more effective in killing germs when polluted air passes through the unit’s filtering system. A permanent filter in the form of a screen is also used in some of the most popular Winix products. This works in filtering larger forms of particles like human hair, pet hair, dust, etc. PlasmaWave is more ﻿commonly ﻿known as the ionizer feature in air purifiers. By releasing negative ions in the air, allergens and contaminants in the air can become heavier so that these can be sucked into the filtering system of an air purifier. Is PlasmaWave technology safe? The answer to that question is yes, as negatively charged ions are good for the body (nature is filled with negative ions). Serving as a pre-filter to the main HEPA filter, this is made from granular carbon materials. Some models come with washable carbon filters while others come with replaceable ones. In any case, a carbon filter is most effective in absorbing smoke particles and odor from the air. Winix air purifiers are very easy to operate because they’re user-friendly. So, basically, you can operate one by using any of the 2 methods below. Control Panel – The control panel can be operated manually (directly on the unit). Remote Control – Models with remote controls can be operated by using the accompanying devices. 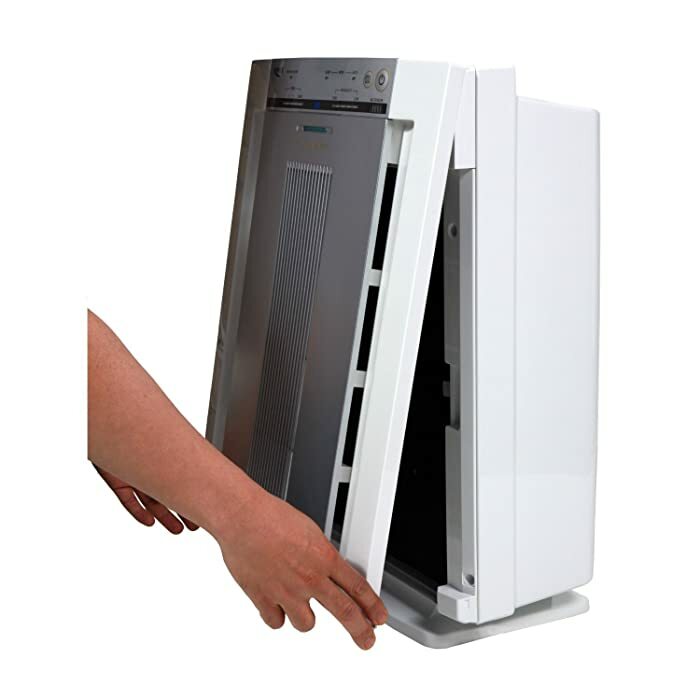 For another option in a stand-alone unit, consider the Winix PlasmaWave 5300 air purifier. This unit is now available in silver color. True HEPA Filter – It comes with a filtering system that’s 99.97% efficient in capturing microscopic particles in the air. Carbon Pre-Filter – It uses a carbon filter as a pre-filter to the main HEPA filter (to extend its life and make it more efficient in trapping microscopic and nanoparticles). PlasmaWave Technology – The ionizer feature can be turned on and off as needed. Fan Speeds – It has 4 speed controls – low, medium, high and turbo. The Winix 5300 is another good option for an air purifier. If you’re looking for a simple unit, you can consider this model. It only comes with 3 stages of air purification (True HEPA, Carbon Filter, and ionizer) but it uses a good combination of filters. It works great as an air purifier for dust and multiple forms of allergens in the air. The unit looks really good. 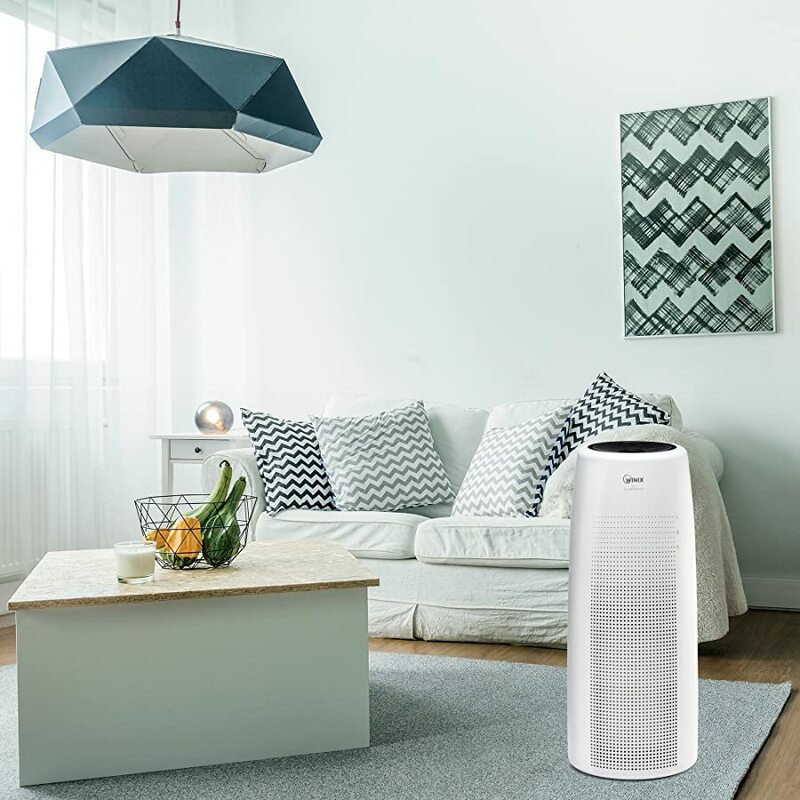 The Winix PlasmaWave 5500 is yet another stand-alone air purifier from Winix and it’s available in silver and white color (combination). True HEPA Filter – This filter is 99.97% effective in trapping dust particles, allergens, and other pollutants that are as small as 0.3 microns. 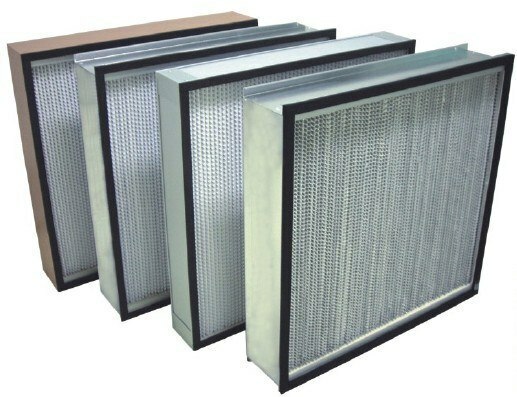 Carbon Filter – A layer of carbon filter serves as pre-filter to the main HEPA filtering system. PlasmaWave Technology – This model is equipped with an ionizer to clean and purify the air from pollutants and odors. This feature comes with its own on/ off control. SmartSensor – When set to the auto mode, the unit monitors the air quality in a given room and adjusts its cleaning speed according to the present condition. 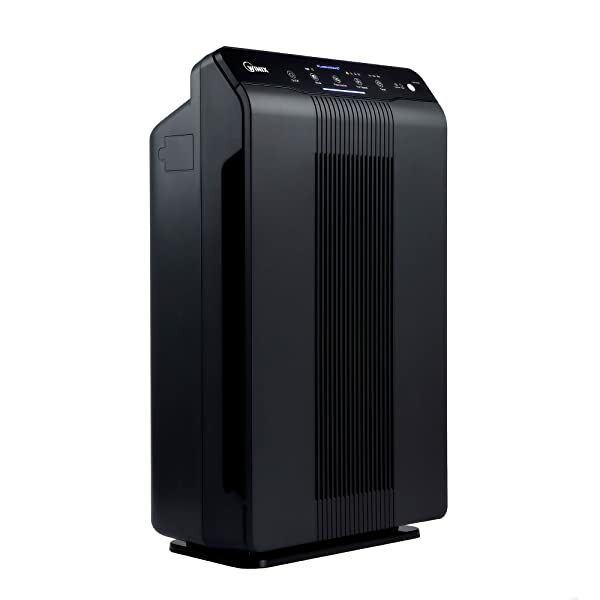 The Winix 5500 is good air purifier for a 3-stage model. It’s an all-around air filter since it comes with a HEPA, Carbon, and ionizer combination. It makes for a good choice as an ﻿air ﻿purifier for home or office use. Its ionizer feature doesn’t emit ozone. The unit will alert you when the filters need changing. You will need to buy replacement filters. Some clicking noise can be heard when the ionizer is on (but this is normal). 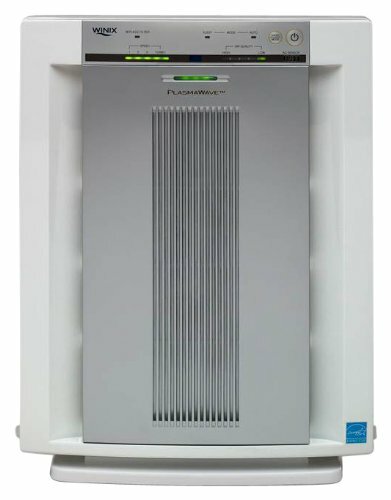 The Winix Plasmawave 9500 air purifier is a stand-alone model of air purifier. Should you decide to get it, it’s only available in silver color. 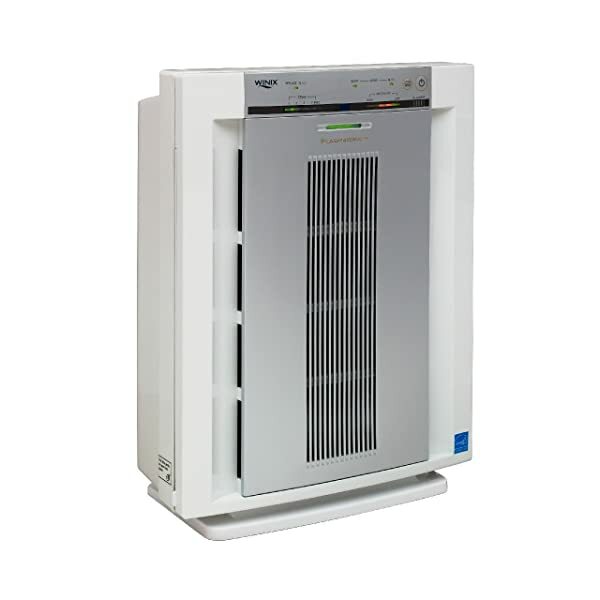 True HEPA Filter – It uses the best type of HEPA filter in its air purification system. This filter can trap microscopic particles as small as 0.3 microns at 99.97% efficiency rate. Carbon Filter – It comes with a washable carbon filter that works on removing smoke particles and odor in the air (as well as other types of molecular pollutants). 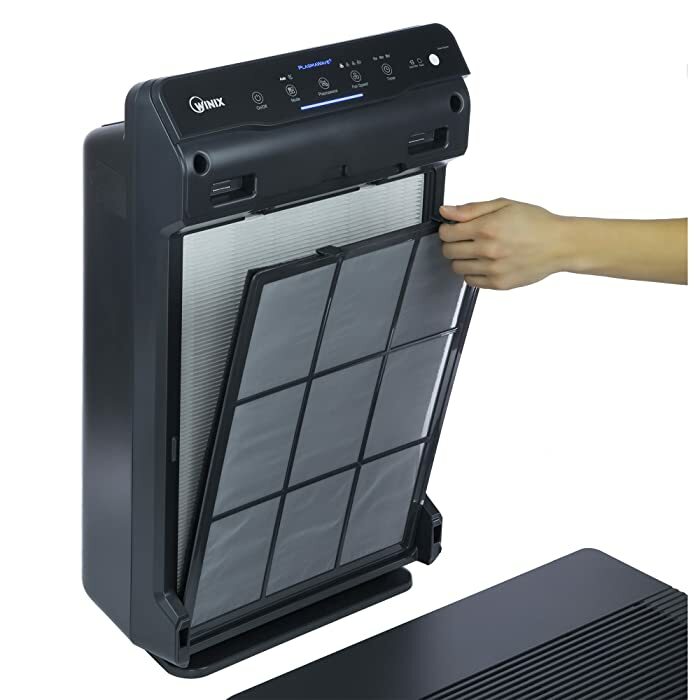 Pre-Filter – A permanent, washable filter screen acts as the first line of defense in this model’s filtering system. It can capture large particles of pollutants like pet hair and dust. PlasmaWave Technology – This serves as the unit’s ionizer. It breaks down contaminants on a molecular level to destroy them. Particles of pollutants can also be weighed down and solidified to make it easier to trap them in the unit’s filters. 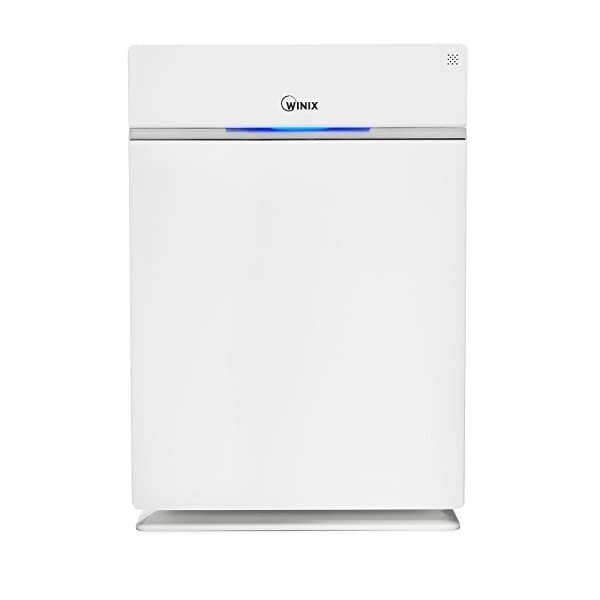 This model comes with a 5-stage air purification system – True HEPA filter, Carbon Filter, PlasmaWave (ionizer), Screen Filter, and CleanCel Anti-Bacterial treatment. All these air purification methods make the unit very effective in cleaning the air from different types of pollutants. It’s especially useful for people with pets. It comes with a remote control (for more convenient operation). It has an auto dim feature to keep the lights down when it’s dark. This model comes with a filter change indicator to alert you when it’s time to change the filter. The True HEPA filter needs to be changed regularly. Expect to shell out around $40 once or twice a year. It’s too weak as an air purifier for the whole house. 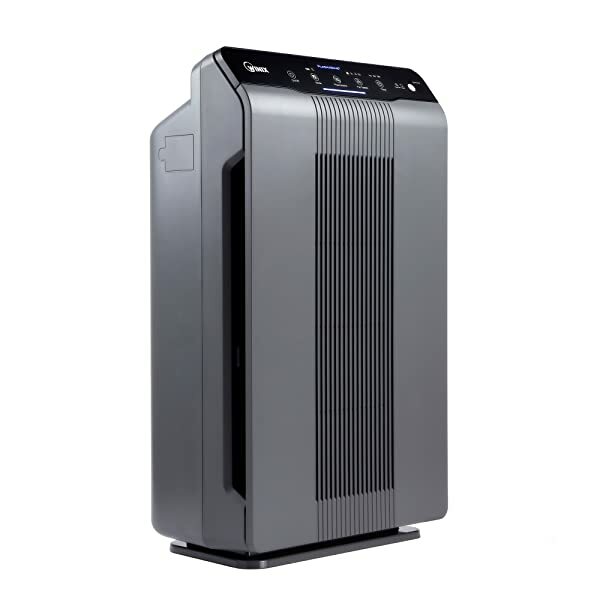 The Winix 5300-2 is another good option for a stand-alone air purifier. Just know that it’s only available in black color. True HEPA Filter – By using a True HEPA in its filtering design, this model is 99.97% efficient in clearing the air from pollutants and contaminants. Carbon Filter – This type of filter is effective in odor control. 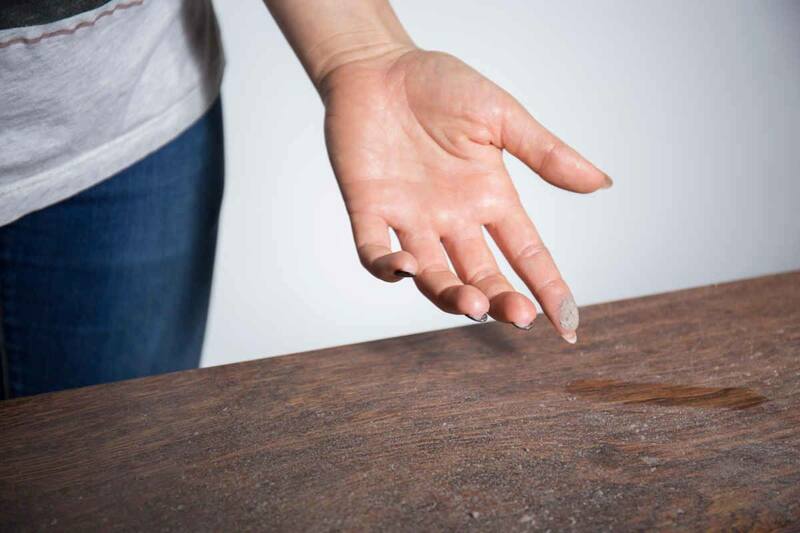 It can also absorb VOCs and odor-causing germs. PlasmaWave Technology – As an ionizer, turning this feature on will prompt the unit to release negative ions into the air. You can also turn this feature off if you want to. SmartSensor – When you set the unit to auto mode, it will adjust its cleaning settings according to the present air quality in a room. This model is equipped with 3 stages of air purification. Pet owners and people with allergy and asthma will surely find it useful. This model is easy to maintain. The SmartSensor is really useful and energy efficient. Having a filter indicator makes it easy to monitor the status of the filters. The lights still appear to be bright even when dimmed. Buying filters regularly can be quite costly. 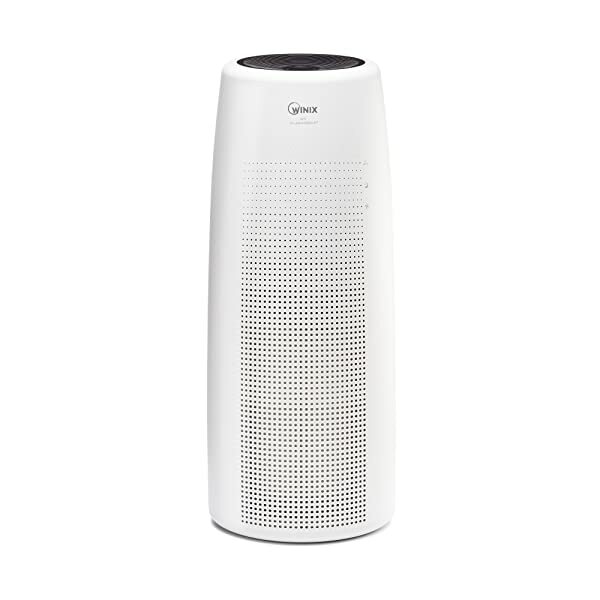 On the Top 12 slot is another stand-alone option for an air purifier – the Winix FresHome P300. You can get it in white color. True HEPA – It uses a filtering system that’s 99.97% effective in trapping very small particles of allergens, dust, mold spores, etc. Carbon Filter – As pre-filter to the HEPA filter, it can prolong the life of the main filter. It’s also very effective in odor control. SmartSensor – The unit itself will monitor and clean the air in a particular room automatically. Equipped with a 3-stage design, this model is useful in purifying the air from pollutants like dust, pet hair, pet dander, VOCs, pollen, odors, etc. It’s quiet on low – you can use the low setting at night. This is an energy efficient device. There can be some buzzing and zapping sounds when the ionizer is on (but this sound is normal). It’s not a very effective air purifier for mold. If you’re looking for a stand-alone air purifier, consider the Winix 5500-2. This unit is available in black color. True HEPA – As the main filtering system, this model is designed to be effective in purifying the air from different forms of pollutants like dust, pet dander, mold spores, pollen, etc. Carbon Filter – Its design includes a washable carbon filter which serves as pre-filter to the HEPA filter. PlasmaWave Technology – With its own on/ off control, you can choose to use or not to use the ionizer feature. SmartSensor – When set in auto mode, the unit monitors the air quality continuously and adjusts the unit’s cleaning power as needed. Its 3-stage filtering system is capable of cleaning the air of pollutants like dust, dirt, VOCs and odors. It uses a very effective filtering system – HEPA, Carbon, and ionizer. It’s light and portable (it only weighs around 15 pounds). This model is quite loud on turbo. The Winix PlasmaWave 6300 stand-alone model of air purifier is also worth considering when looking out to buy an air filter. Right now, this model is only available in 1 color – white. True HEPA – It’s 99.97% effective in filtering the air from 0.3 micron sized particles and larger. Carbon Pre-Filter – Its carbon filter works in eliminating odor and odor-causing molecules in the air. PlasmaWave Technology – Having an ionizer feature helps in keeping the air clean and fresh-smelling. Pre-Filter – A plastic screen (which is washable) is included in the unit’s design. 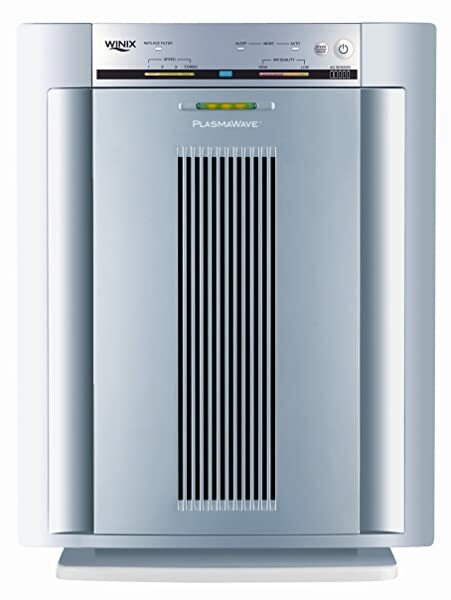 The Winix 6300 is equipped with 4 stages of air purification (True HEPA, Carbon filter, ionizer, and pre-filter). It will work well for people with allergies and asthma. Pet owners will also find it useful. This unit is energy efficient. It’s very quiet on low – speed 1 can be used as sleep mode. There’s a filter change indicator to tell you when to change the filters. It’s quite noisy on turbo. You need to replace 2 filters regularly – the True HEPA and the carbon filter. The Winix FresHome P150 is another model of stand-alone air purifier. You can get it in white color. True HEPA Filter – With this HEPA filter, you can be sure that the main filter in your air purifier is 99.97% effective in combatting air pollution in your home or office. Carbon Filter – It uses the most effective type of filter for odors – pet odors, smoke odors, cooking odors, etc. PlasmaWave Technology – Having an ionizer enables the air purifier to keep the air healthy and fresh-smelling. Fan Speeds – It comes with 4 speeds (low, medium, high, and turbo). This model comes with an effective 3-stage filtering design. While it’s effective in purifying the air from pollutants like smoke, mold spores, pet dander, pollen, etc. it is only suitable for use in small rooms. It’s an energy efficient model. It’s light and portable and even comes with a handle (for easy transportation). It’s not that powerful and can only purify the air in small rooms. It can be quite expensive to buy replacement filters all the time. 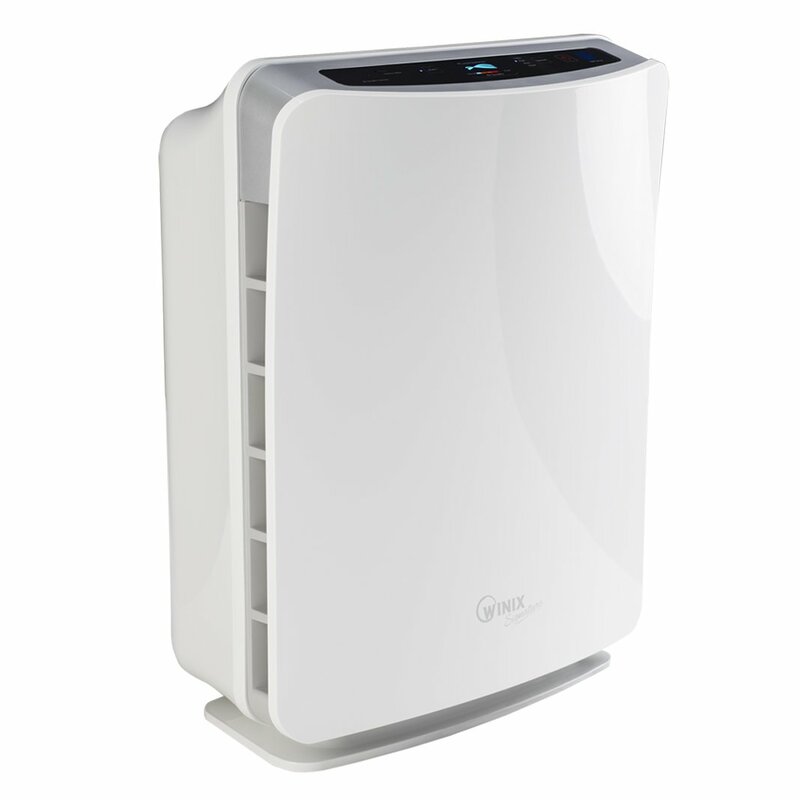 The Winix U300 HEPA air purifier is another stand-alone model of air purifier. You can get it in white color. True HEPA Filter – This type of filter has 99.97% efficiency in trapping small particles of air pollution (up to 0.3 microns). PlasmaWave Technology – As the ionizer feature, it’s designed to release negative ions into the air. Negative ions work in cleaning the air from pollutants which are composed of positively charged ions. Carbon Filter – It comes with a washable carbon-made filter that’s effective in controlling odors in the environment. Pre-Filter – This model is designed with a screen pre-filter to trap large particles of pollutants in a particular room. With 5 stages of air purification (True HEPA, Carbon Filter, Ionizer, Pre-filter, and anti-microbial treatment), this air purifier can surely clean your indoor environment from contaminants and pollutants. If you’re particularly looking for an air ﻿﻿purifier ﻿﻿for smoke, this can be one of your options. It’s also powerful enough as an air purifier for large room. It comes with washable pre-filters. This air purifier uses True HEPA, which is very effective in filtering all types of pollutants in the air. You will need to buy HEPA replacement filters regularly (and True HEPA filters are quite expensive). The Winix HR950 is another stand-alone air purifier. If you’re interested in getting it, know that it’s only available in white color. True HEPA Filter – By using the best type of HEPA filter, you can be sure that the unit is very efficient in filtering the air from pollutants and contaminants. Carbon Filter – It uses a carbon filter for odor control. It also works well in absorbing chemicals and fumes from the air. PlasmaWave Technology – You can use the ionizer feature to further clean and freshen the air. Pre-Filter – a permanent filter is included in the unit’s design (it’s washable). I am impressed with this model of air purifier because it uses a 5-stage filtration system. If you’re looking for an effective and efficient air purifier, this can be one of your best options. It’s a particularly good air﻿﻿ ﻿﻿purifier for pets as it comes with a lot of air purification methods. This is an energy efficient model. The filter change indicator makes it easy to monitor the status of the filters. The filters are quite pricey to replace regularly. 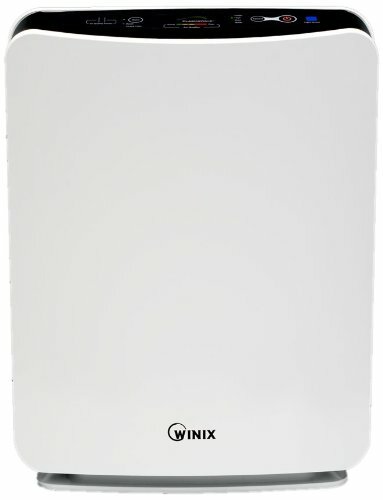 The Winix NK105 is another option for a tower air purifier. Should you decide to get it, know that it’s only available in white color. 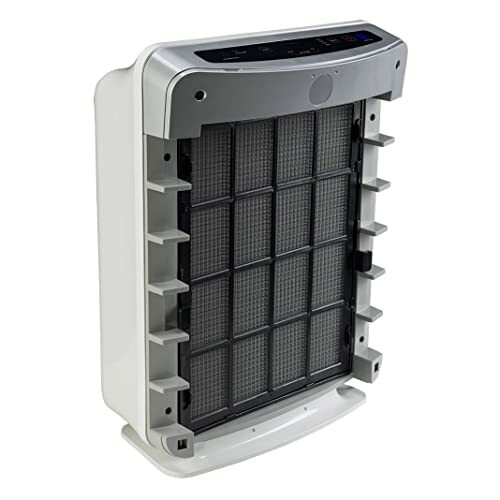 True HEPA Filter – As the main filtering system in this model, this air purifier can clean the air from dust, allergens, mold spores, smoke, etc. Pre-Filter – A permanent, washable filter is included in its design. Carbon Filter – The carbon-based filter works for odor control. PlasmaWave Technology – This model comes with an ionizer that can be turned on and off as needed. You will particularly like this model if you’re looking for an air purifier with WiFi capabilities. Take note, too, that it comes with 4 stages of air purification, so it’s really an efficient unit when it comes to cleaning the air from pollutants and contaminants. If you’re looking for an air purifier for allergies, this can be one of your options. Having WiFi capabilities is really cool and useful. The filters are easy to replace. It comes with a filter change indicator. The lighting system is still bright at the dim setting. The main HEPA filter is not permanent and needs to be changed regularly (about once a year, depending on use). The Winix NK100 is a tower model of air purifier. As of this writing, this model is only available in white color. True HEPA Filter – This type of filter can purify the air from dust, dust mites, pet hair, pet dander, pollen, etc. (anything larger than 0.3 microns). Pre-Filter – It has a permanent, washable filter for catching large particles or air pollutants like hair, dust, and dirt. Carbon Filter – This filter works on absorbing odors and VOCs. PlasmaWave Technology – The ionizer can neutralize odors and microscopic contaminants in the air. If you’re looking for a tower type air﻿﻿﻿ ﻿﻿﻿purifier for a large room, consider this model as one of your options. Its 4-stage air filtration process makes it really effective in cleaning the room from dust, allergens, and other types of pollutants. It uses True HEPA filter – the most effective type of HEPA filter for air pollution. Its slim design makes it compact – it doesn’t take up a lot of space. You will know when to replace the filters since it comes with filter change indicator. Although it has a dim light feature, the light is still quite bothersome at night. When shopping for a Winix air purifier, there are certain features that you would find useful. Consider the following points listed below as these are usually found in Winix air purifiers. SmartSensor Technology – With this feature, a particular model is able to monitor the air quality in a given room. And not only that, it can automatically adjust the fan speed and cleaning power to cope with the current situation (so that your indoor air quality will always be good). Light Sensor and Auto Dim – Air purifiers normally have little lights that glow during operation. While the lights may seem unnoticeable during the daytime, these can be very disturbing at night (especially when you’re using an air purifier in the bedroom). To remedy this problem, Winix air purifiers usually carry light sensors and auto dim features. When a unit senses that its surrounding is dark, it automatically dims all the lights so that these are not too bright and distracting to the eyes. 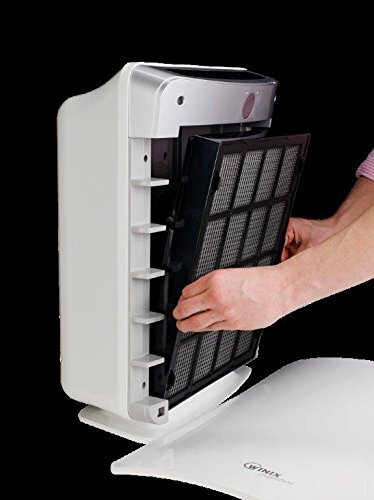 Filter Change Indicator – Winix air purifiers usually come with one or more replaceable filters. With a built-in LED indicator light that alerts you when it’s time to clean or change the filters, you never have to trouble yourself by remembering when the filters are due for replacing. You don’t even need to monitor the filters manually as the system will simply notify you when the filters are already dirty. 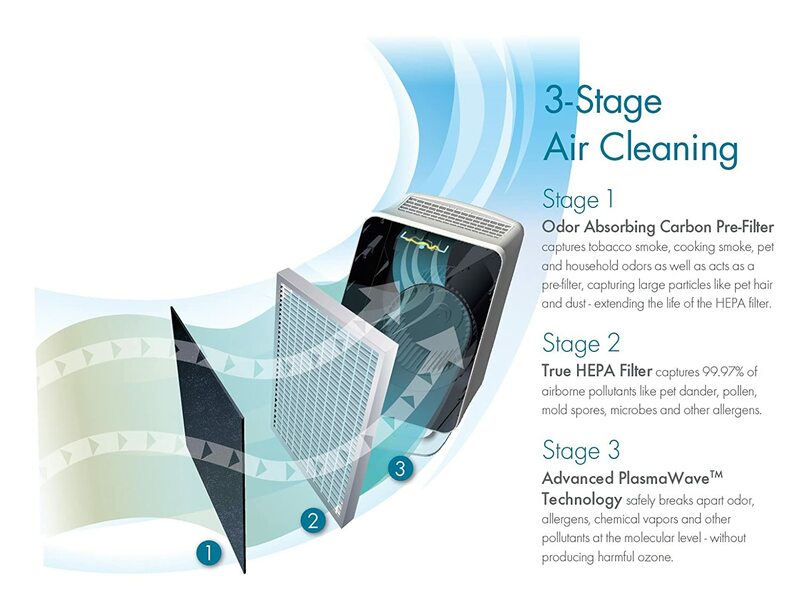 Filtering System – Winix air purifiers can have 3, 4 or 5 stages of air purification. Needless to say, a 5-stage filtration system can produce better results than 3 and 4-stage filtration models. However, this will also depend on the usual indoor air quality in your particular place. Areas with low pollution can get by with minimal air purification methods. However, highly polluted places will require more thorough air purification which only a multi-stage purification system can provide. Area Coverage – It’s also important to check on an air purifier’s area coverage to make sure that it can handle the air purification needs in your home or office. While you can use units intended for large spaces in small rooms, air purifiers for small rooms will not be able to perform well in large areas. Stand-Alone – These models are usually placed on the floor since they’re quite big and bulky. However, there are also compact units that you can place on top of tables. Made to be portable, these units are light enough to be transferred from one room to another, if needed. Tower – Tower types of air purifiers are built to have slim designs. Because of their small footprints, they are best positioned on the floor (along with the corners of a room). Again, these models are meant to be light and portable, so you also have the option of transferring them from one location to another. So, there you have it – this Winix air purifier reviews covered the best products from said Company and all you have to do is choose the model that’s most suitable to your needs. However, I encourage you to read my suggestions below. I place great importance on the air purification process employed in an air purifier because you can use it as the gauge on how effective a model is in cleaning the air. If you’re like me, I would choose a unit that carries a 5-stage filtration system. Pre-FilterCarbon FilterTrue HEPA FilterAnti-microbial Agent as TreatmentPlasmaWave TechnologyBoth the Winix WAC9500 and Winix U300 models have 5 stages of air filtering systems – so, I would say it’s a toss between those two. They’re both stand-alone units, by the way, and they both have 4 fan speeds. There’s just a little difference in their area of coverage as the WAC9500 is suitable for 283-square foot rooms while the U300 can handle up to 300-square foot rooms. As for their price, they belong in the same price range. 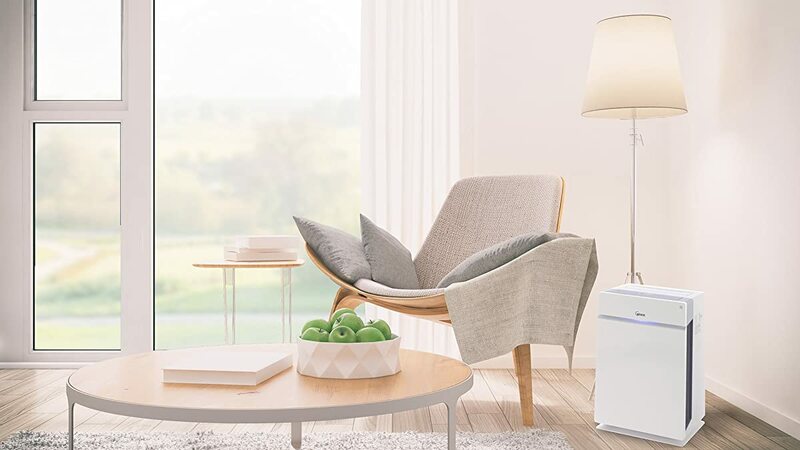 If you want to go for an air ﻿﻿purifier with only 4 stages of air filtration, note that their accompanying air purification system includes the following:True HEPA Filter, Carbon Filter, Pre-Filter and PlasmaWave Technology. So, if the anti-microbial treatment is not that important to, you can settle for an air purifier with only 4 stages of air purification. And for this category, I am recommending the Winix 6300 (which is a stand-alone model) and the Winix NK100 (which is a tower model). They both have 4 fan speeds, but the WInix 6300 has a wider area coverage (350 square feet) than the NK100 (only 320 square feet). Note, too, that the Winix 6300 is a little cheaper than the Winix NK100. Now, let’s say that you want to get an air purifier with a very simple air filtering design – if so, you can consider the units that come with 3-stage air filtration systems. Their air purification system would include only 3 types of air filters: True HEPACarbon, PlasmaWave Technology. For this option, you can choose between the Winix PlasmaWave 5300 air cleaner model and the Winix 5500 air purifier, which are both stand-alone models. They also have these things in common:They both have 4 fan speeds.They both have an area coverage of 350 square feet.They belong in the same price range. 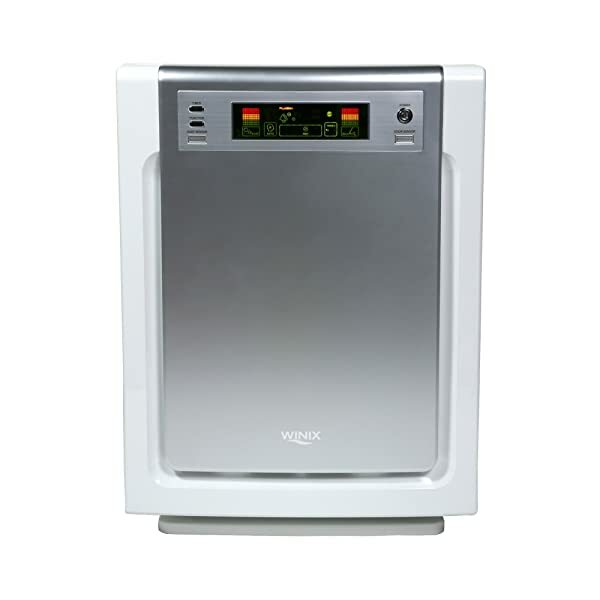 Now, if you’re specifically looking for the most technologically advanced air ﻿﻿purifier, consider the Winix NK105. This is a tower air purifier that’s WiFi enabled – it means that you can monitor the air quality in your home even when you’re not there. And that’s not all, you can also control the settings wherever you are. Neat, huh? Take note, too, that it comes with 4 stages of air purification and it can cover a large area (up to 320 square feet). And the price is reasonable. At this point, there’s nothing left for me to do but to wish you good luck on making the right choice. Do take this task seriously because your family’s health depends a lot on the quality of air that you breathe every day.I would really appreciate it if you let me know the particular model you picked (I’m just curious because there are lots of good products in the Top 12 list and it’s not that easy to choose). 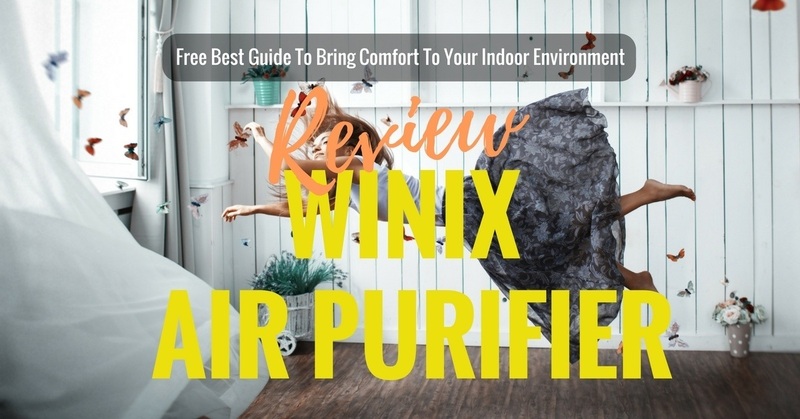 You can also send this article to your friends so that they can use this Winix air purifier reviews article as a guide in their quest for the best air purifier for their needs.